Virgil Lodde, 80, passed away February 15, 2008 in Sioux Falls, SD. He was born June 30, 1927 in Turner County. 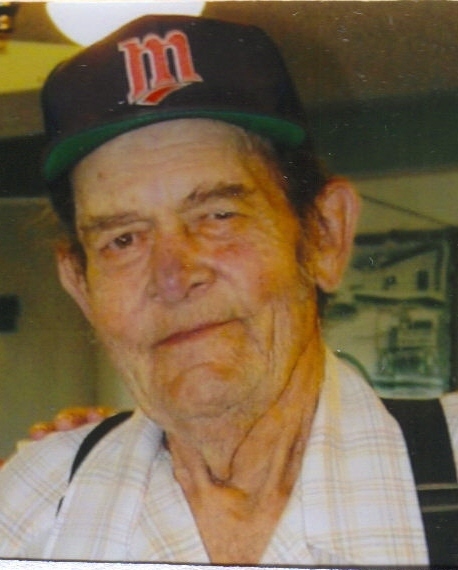 He was a longtime resident of Sioux Falls before residing at Evergreen Assisted Living Center, Viborg, SD. Virgil graduated from Hurley High school in 1945. He served in the United States Army from 1950-1952 as a PFC Corporal during the Korean War. On July 12, 1953 he was united in marriage to Dorothy Noeldner in Watertown, SD. Virgil was a meat cutter/packer for 10 yrs with John Morrell, later becoming a construction worker. He enjoyed fishing, hunting and the outdoors as well as playing cards. He is a member of Zion Lutheran Church, Sioux Falls, SD. Virgil is survived by his wife, Dorothy (Noeldner) Lodde; two daughters, La Vonne Kay and Laura (Michael) Wibeto; three grandchildren, Jessica and Matthew Kay, Benjamin Wibeto; and one great grandson, Alexander Smith. He was preceded in death by his parents William "Bill" and Nina Lodde and his son, Verlin. Visitation will be Thursday from 4 PM to 8 PM at Barnett-Lewis Funeral Home. Funeral Service will be Friday, 2 PM at Barnett-Lewis Funeral Home with burial to follow at Woodlawn Cemetery with Full Military Rites by Veterans Of Foreign Wars Post #628. Memorial may be directed to the Disabled American Veterans.